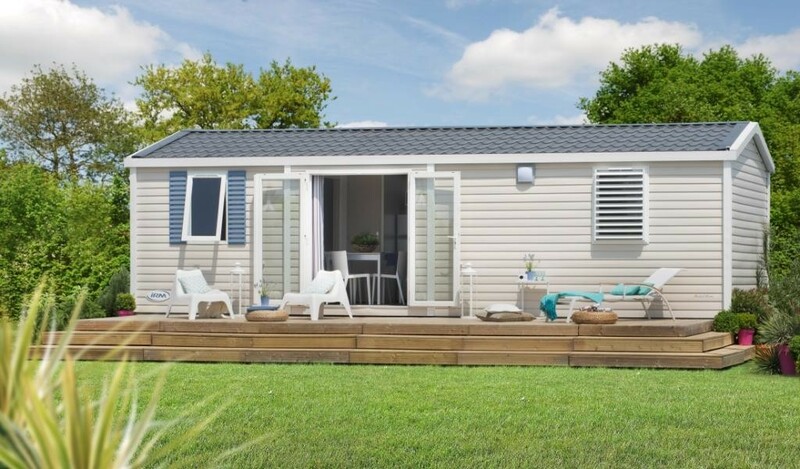 Mobile home type IRM MODUL’HOME 9,13×4,00 mq – Bologna. 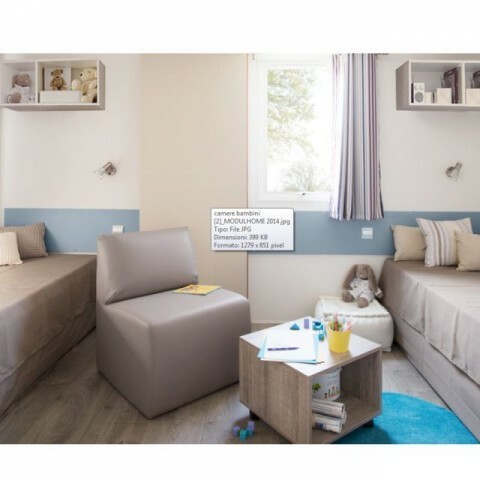 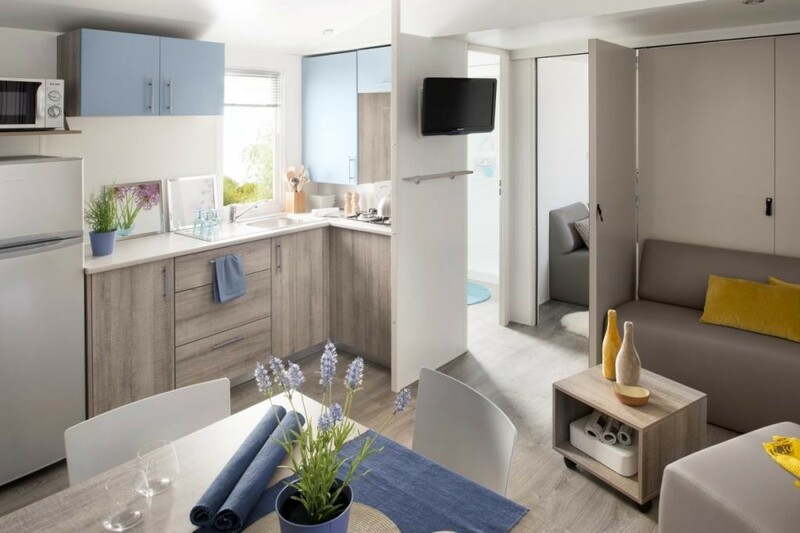 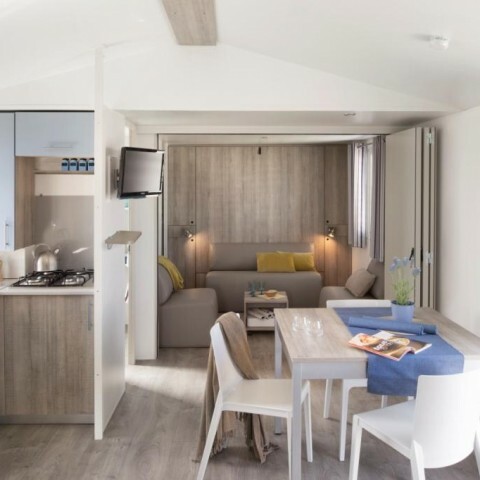 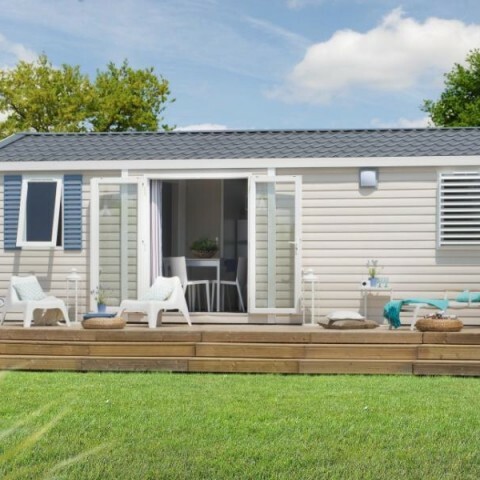 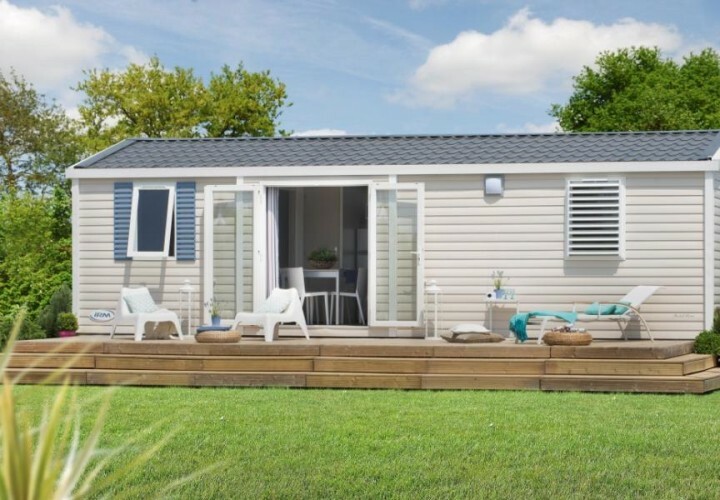 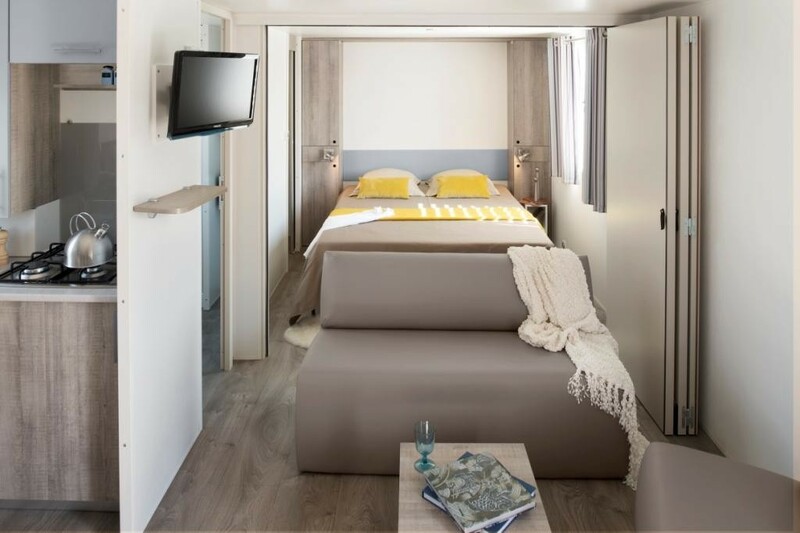 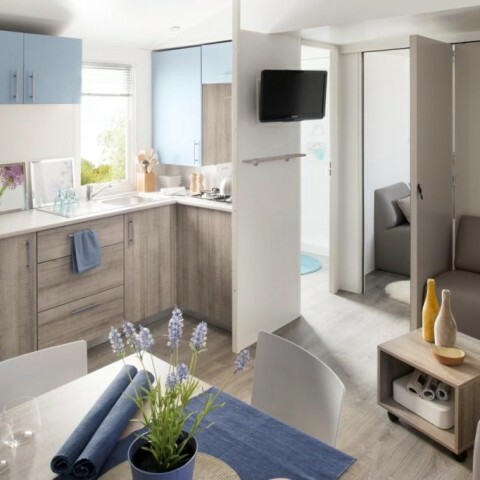 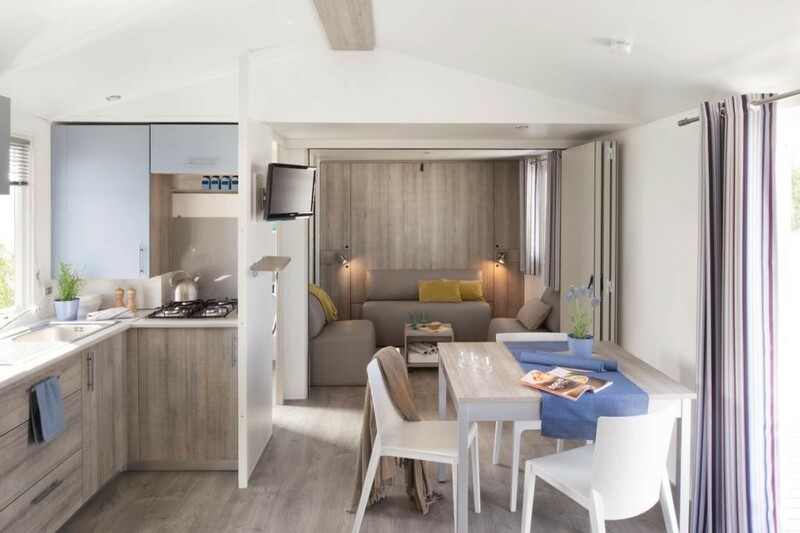 Mobile home IRM MODUL’HOME, insulated and equipped with double glazing, with 6 beds composed of 2 or 3 bedrooms (the mobile home, in fact, is equipped with two movable walls), 1 bathroom with shower , WC and washbasin + 1 separate toilet. 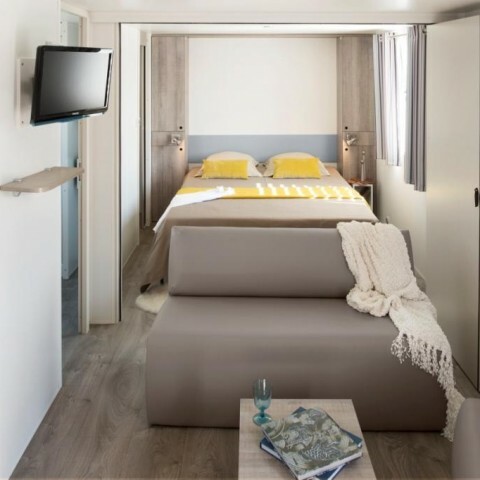 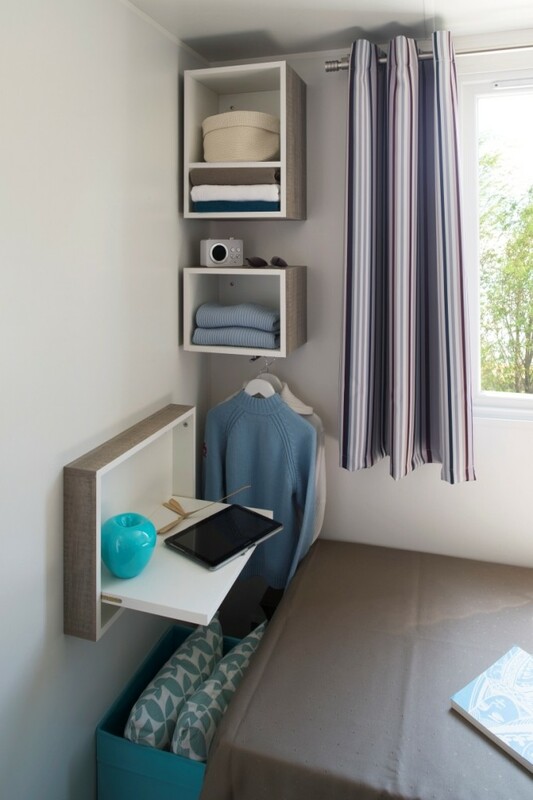 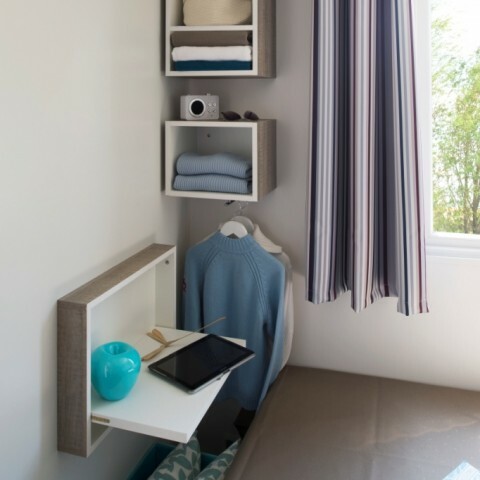 Colours and options of the mobile home: outer covering (bardage) colour linen, blinds colour “blue cloud”, black roof, doors and headboards colour “blue cloud”, sofa ‘fuchsia’, maroon striped curtains, mosquito curtains.